Halloween is all about dressing up and having fun – and for kids, going out trick-or-treating – but one man’s sinister plot changed the holiday forever. Ronald Clark O’Bryan not only left his own son in a grave, he ‘ruined Halloween for an entire generation of American kids’. After O’Bryan’s crimes were made public, Halloween safety programs had to be put in place to teach parents various methods for evaluating the safety of their children’s door-to-door treats. O’Bryan is known as ‘the man who killed Halloween’ or ‘the Candy Man’, nicknames he earned after he was convicted of murdering his 8-year-old son, Timothy, with a Pixy Stix sherbet treat. The story began on a rainy Halloween night in Deer Park, Texas in 1974 – O’Bryan, an optician, was out trick-or-treating with Timothy, his five-year-old daughter Elizabeth, and neighbour Jim Bates along with his two children. According to reports at the time, the group went over to one house in the neighbourhood which had the lights off, they knocked on the door anyway, but there was no answer. As the children and Mr Bates walked away from the empty house towards the next, O’Bryan stayed behind, but when he caught up with the group he was holding five Pixy Stix – straws of coloured powdered candy – which he handed out to all the children, including one who wasn’t part of the group. 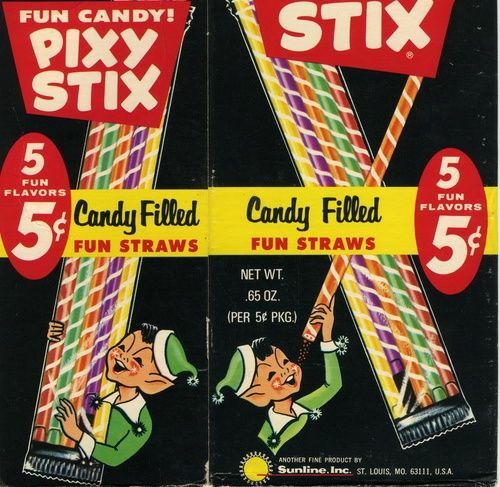 As the evening drew on, everybody returned to their respective homes, but before everyone went to bed, Timothy was allowed one of his Halloween treats – choosing the Pixy Stix tube his father had given him. But as he came to eat it he found the powdered sugar was stuck in the straw, and O’Bryan ‘came to the rescue’ and helped him dislodge it. Timothy started eating the powder but complained it tasted bitter so his dad went to pour him a glass of Kool-Aid to help him wash it down. Timothy then very quickly developed severe stomach pains and began violently vomiting and then convulsing. O’Bryan had held him in his arms as he cried in pain and shook back and forth. Within the hour, Timothy was dead. An autopsy confirmed Timothy had died from cyanide poisoning – he’d consumed enough to kill three grown men and when police asked about what he’d eaten, O’Bryan told officers his son had consumed a Pixy Stix. Panic set in with police who were deeply worried other children may have poisoned sweets so set about going door-to-door in the neighbourhood taking candy off the children. At Timothy’s funeral, O’Bryan stood up and sang a hymn in front of the entire congregation. The senseless death of little Tim shrouded the congregation. What monster dwelled in Pasadena, brutally killing children for no reason at all? How could such evil visit the family of such a wonderful man as Timothy’s father, Ronald Clark O’Bryan? ‘This is Tim’s stor-eee, this is Tim’s song’, the big bespectacled, sandy-haired man sang in his oddly-high crystalline tenor. ‘Praising my sav-iourrrr, all the day looonng’. ‘There wasn’t a dry eye in the church when he was through’, a member of the congregation would later say. ‘He had the entire church in a very emotional state, that this man was so strong in his faith and his convictions that he could do this’. Police investigating Timothy’s murder started uncovering evidence against O’Bryan. They found he was in more than $100,000 of debt, his car was about to be repossessed, he’d defaulted on several bank loans and he had already lost the family’s house. But even more importantly, police discovered O’Bryan had taken out life insurance policies on his two children in the months ahead of the fateful night. They also believed the reason he gave the candy to the other children was in a bid to cover his tracks. In the January of 1974 O’Bryan had taken out $10,000 life insurance policies on both children, then one month before Timothy’s death, he took out additional $20,000 policies on the children. He finally took out yet another $20,000 policy on each of his children in the days before Timothy’s death. After learning O’Bryan had visited a store in Houston to buy potassium cyanide shortly before Halloween – although he left without purchasing anything – police began to suspect he was the murder. Police believed O’Bryan had laced the Pixy Stix with the cyanide in an effort to kill his children to cash in on their life insurance policies and pay off his huge debts. And in 1974 Ronald Clark O'Bryan AKA The Candyman killed his eight year old son with poisoned candy and ruined Halloween forever. O’Bryan maintained his innocence but was arrested on November 5 and entered a plea of ‘not guilty’ to all five charges against him – one count of capital murder and four counts of attempted murder. The jury took just 71 minutes to find him guilty and he was sentenced to death. 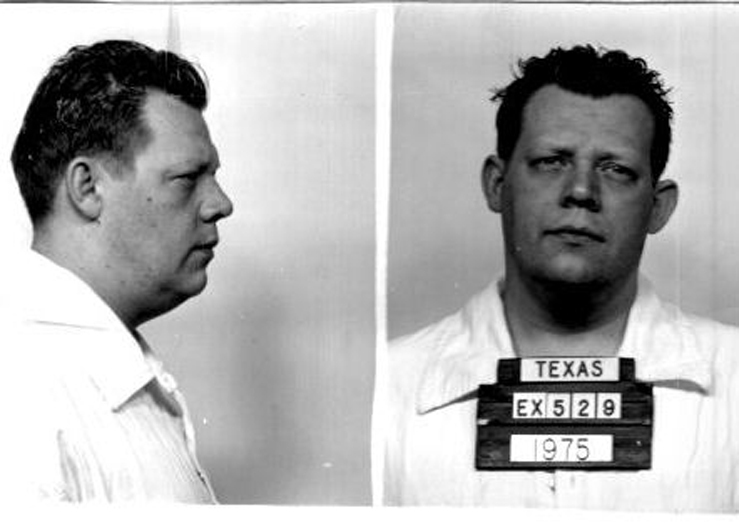 His wife subsequently divorced him and shortly after midnight on March 31, 1984, O’Bryan was executed by lethal injection – he was pronounced dead at 12:48am.